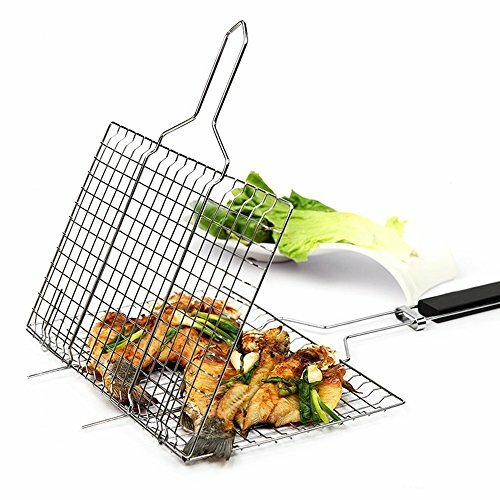 5.This BBQ Grid clip are easy to carry and wonderful for any outdoor cooking time, just take it weekend enjoy the delicious BBQ food with your friends and your family . LARGE GRILLING SURFACE - Measures 12.6''×8.5'', ideal for Cooking 3-5 people for one time and grilling fish,vegetable, meat, pork chop, chicken wings,etc. If you have any questions about this product by DREAM COSMOS, contact us by completing and submitting the form below. If you are looking for a specif part number, please include it with your message.